I know, there's an endless list of reasons why I (and all of us) should be working out — stress release, a form-fitting bridesmaid dress, better health pretty much across the board... But, then, there are those days where I just. Can't. Motivate. Hey, summoning the kind of energy it takes to make it through a Flywheel or CrossFit class can be preeetty tough after a long day at work. Rather than dwell on my laziness, I turn to the only women who can help me justify it — AKA the ladies I'm binge-watching instead of clocking time on the rowing machine. Because, while real-life Hollywood seems to be all about health and fitness, my favorite TV shows and movies have totally nailed my feelings on working out (on the days I do make it to the gym, and on those I don't). Mindy Kaling, girl, you are in. My. Head. Ahead, 21 times Hollywood got it right — onscreen, at least. Because, let's be real, you know you can relate to everyone on the list, from Fat Amy to Regina George. Pitch Perfect's Fat Amy knows how I feel about that. for articulating how every woman feels about working out for the first time in forever. 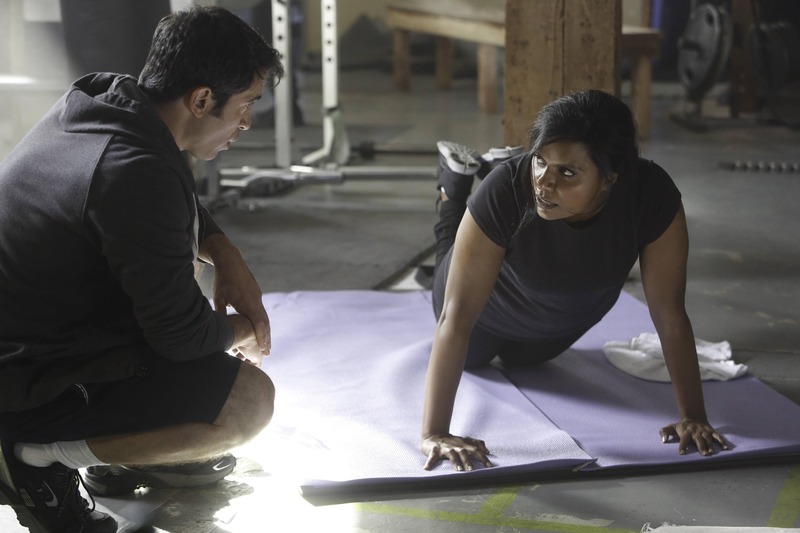 How did we justify not exercising before Mindy Lahiri? Seriously, she is the everygirl when it comes to exercising. I find myself thinking this every time I'm on the Stairmaster. Preach, Cameron Diaz circa The Holiday. and this one really hits close to home. I also would like the benefits of going to the gym without actually going. Unfortunately, Lorelei, it's called working out for a reason. This is what I call a workout regimen on a tough work day. Reese Witherspoon sums up my post-workout feelings. Yep, this is exactly how I get through that last mile. Carb-loading pre-gym for energy is a thing, right? Because, you know, I do it. Ellen sums up my feelings on weird fitness fads. Did anyone actually use a Shake Weight? Sigh, haven't we all feel that way, Regina George? Walking is totally a workout. That's why we track our steps now! Thanks to Mindy Lahiri, I feel a lot better about how I look in Zumba. Elle Woods makes a case for exercise — I'm not totally won over. Is this not... an option? Tai summed up how we all feel when trying a new workout in Clueless. Mean Girls: Proof that no one is good at dodgeball. And, finally, Regina George has the perfect excuse for staying in my sweats. If the chief Plastic doesn't need to work out, well, neither do I!